I feel like I’ve almost caught it, the thought. It’s been fluttering about for some time now, somewhere between this plane of reality and the next, every now and then flirting with dancing into the stage lights like some second rate Vaudevillian with stage fright. See what I mean? No? Hmmm. Well then. Let’s try something different. 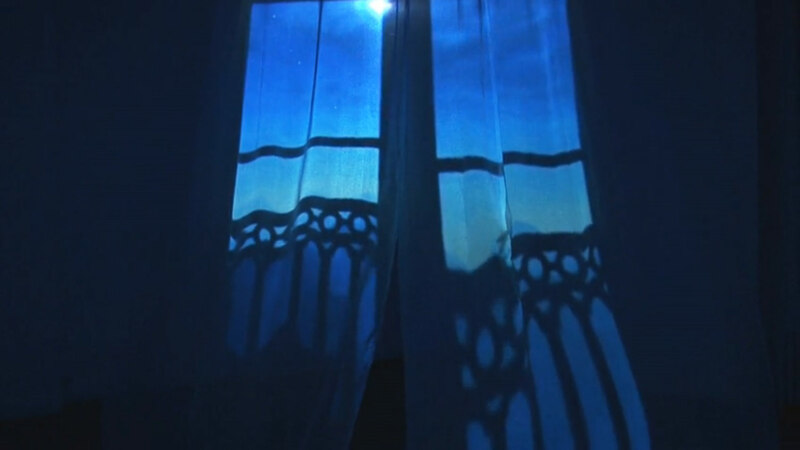 Imagine the most delicate fluttering of a nearly translucent lace curtain, floating softly in the breeze. That gauzy substance hangs between you and a view of the ocean cliffs out your window. It’s night, and the lights are out in your home, and all along the cliffs the entire village has gone dark. Outside, the ocean shimmers a shocking blue in the moonlight, but your view is muted ever so slightly by the curtain’s misty surface. Every now and then the edges flap up a bit more, giving you one breathtaking, tantalizing second of the waves as they crash against the cliffs. 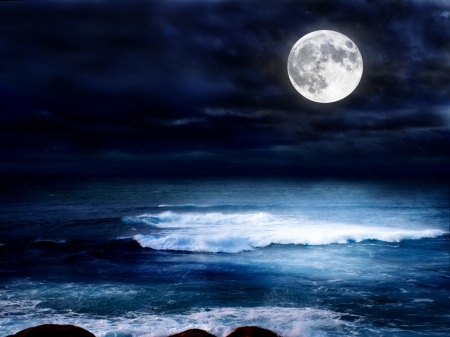 Oh, how you’d love to be bathed in moonlight and salt water, to be reborn in those whitecaps! Oh, how you loathe the curtain for separating you from that great truth! But you also know that it’s not just the curtain. Between you and that damnable lacy shield is an expanse of dark room – whether five feet or fifty, what does it matter when it stands in your way? And beyond the curtain? Still more darkness, more air. You HATE the curtain. But in truth, you hate the room, and all that is outside the room between you and the water’s edge, as well. You long for the moonlight and the sea, but they are there, and you are here. The curtain has been trying to teach you this lesson all along. But you’ll never grasp it, because the curtain is made of magic, and by its very nature both impermanent and everlasting. You must reach out with the softest of touches if you wish to hold on long enough to understand what this all means, why it torments you so. But that doesn’t stop you from trying. Nor should it. We are all of us engaged in this Sisyphean task of grasping at the curtain, of finding our Truth. I don’t know about you, but I mean to splash about in that moonlight.